The author is a naturopath with over twenty-five years’ experience. This book shows the reader how to take control of their own health through a series of natural remedies, cures for common health issues and a number of healthy recipes. 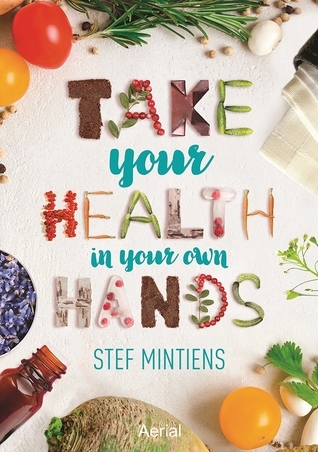 Stef Mintiens is a naturopath who has promoted healthy food and a healthy lifestyle for over 25 years. Parallel with and following his training as a dentist at university, he studied various more traditional and renown natural healing methods in Germany, the cradle of natural medicine. His knowledge of traditional Chinese medicine, homeopathy, herbal medicine, neural therapy and Kneipp-hydrotherapy finds a synthesis in the EAV diagnosis and treatments in his everyday private practice. It is Mintiens' mission to show and prove his patients and readers that a symptomatic treatment is not the best long term solution for health problems and that one can achieve a good health and condition through good food and other habits. This was great book that will give you the first and second steps to getting your life in order. I really loved the in-depth step by step formulas. If your looking to take your health in your own hands than this is the book I would recommend!